JERUSALEM: The United States dismissed as false an Israeli assertion on Monday that the two countries were discussing the possibility of Israel annexing Jewish settlements in the occupied West Bank, in a rare display of discord between US President Donald Trump and Prime Minister Benjamin Netanyahu. “On the subject of applying sovereignty, I can say that I have been talking to the Americans about it for some time,” Netanyahu told a closed-door meeting of his right-wing Likud party’s legislators, according to the party’s spokesman. Netanyahu was referring to applying Israeli law to the settlements, a step tantamount to annexation. They are currently under the jurisdiction of Israel’s military, which has occupied the West Bank since the 1967 war. Later on Monday, the White House denied having such discussions and a senior Israeli official said Netanyahu had not made a specific annexation proposal to Washington. Issuing a clarification, the prime minister’s office stepped back from any suggestion of a dialogue with Washington on any government annexation plan. It said Netanyahu had only updated the Americans on proposed legislation in parliament. Some commentators suggested Netanyahu’s remarks to Likud might have been a move to placate right-wingers in his cabinet rather than a concrete plan. The remarks stoked Palestinian anger, already high over Trump’s Dec 6 announcement that the United States recognizes Jerusalem as Israel’s capital, a reversal of decades of US policy. Nabil Abu Rdainah, a spokesman for Palestinian President Mahmoud Abbas, said any annexation would “destroy all efforts to try and save the peace process”. “No-one has the right to discuss the situation of the occupied Palestinian lands,” Abu Rdainah said from Moscow, where Abbas was holding talks with Russian President Vladimir Putin amid reports they may discuss new options for Middle East mediation. 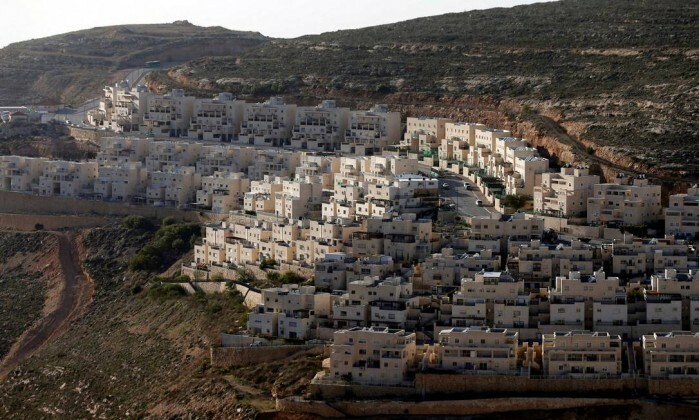 Most countries regard Israel’s settlements as illegal. Israel disputes this. Trump, in a phone call with Putin, said “now is the time to work toward an enduring peace agreement,” a White House statement said. The Likud spokesman did not mention a timeframe for an annexation or go into further details on the US discussions. He quoted Netanyahu as telling the lawmakers that any change in the settlements’ status must first be coordinated, “as much as possible” with the United States, Israel’s main ally. “Israel updated the Americans about different proposals being raised at the Knesset and the US expressed its clear position that it wishes to advance President Trump’s peace plan,” a statement from Netanyahu’s office said. An Israel Radio political affairs commentator described Netanyahu’s comments as largely ideological in nature and said it was unlikely any practical steps would be taken in the near future. Netanyahu’s comments to the legislators appeared, at least in part, to be an attempt to soften any political fallout within Likud over his decision on Sunday to block a bill proposed by several right-wing lawmakers to annex settlements. A source at the prime minister’s office said on Sunday the bill was blocked in order to give diplomatic efforts more of a chance. The Trump administration has been less critical than the administration of President Barack Obama of Israeli settlement policy. But in an interview published on Sunday in Israel Hayom, a pro-Netanyahu newspaper, Trump urged Israel to tread cautiously. “The settlements are something that very much complicates and always have complicated making peace, so I think Israel has to be very careful with the settlements,” Trump said. Trump also voiced doubts about Palestinian and Israeli commitment to making peace. US-brokered peace talks collapsed in 2014, with the settlement issue one of the main factors behind their failure.